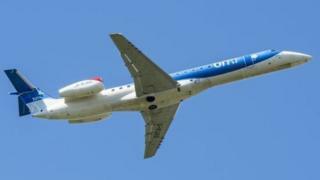 On Sunday, Loganair stepped in to take over three Flybmi routes from Aberdeen to Bristol, Oslo and Esbjerg. However, these will not start until 4 March. The two carriers are owned by the same holding company, Airline Investments. 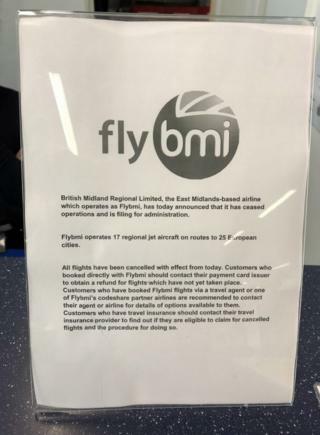 Flybmi has told affected travellers to contact their insurance and credit card companies. Flybmi, based near East Midlands Airport, operated 17 aircraft. 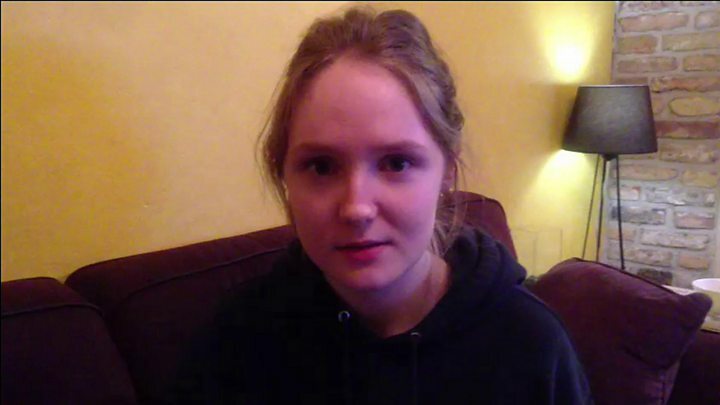 Durham University student Mary Ward says she discovered her flight could be affected when her she received a BBC News alert. One of Flybmi’s routes, which connected Stansted and City of Derry airports, was subsidised by the government to boost trade and travel between Northern Ireland and the rest of the UK. 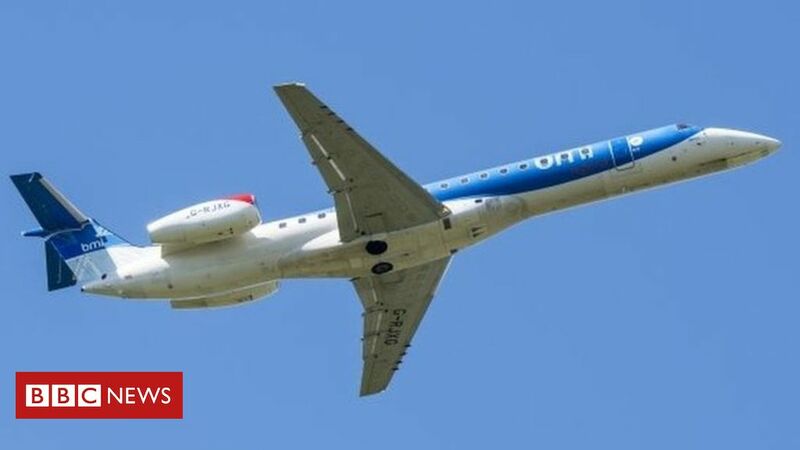 The managing director of Loganair, Jonathan Hinkles, who on Sunday said the airline will take over three former Flybmi routes from Aberdeen next month, said that “there is no doubt that trading in tough” for many airlines. “It’s always really sad to see an airline go out of business, and our thoughts are with all those affected – particularly staff members,” he said.